The country’s largest passenger vehicle maker, Maruti Suzuki India Limited, today launched its first Light Commercial Vehicle (LCV): Super Carry. 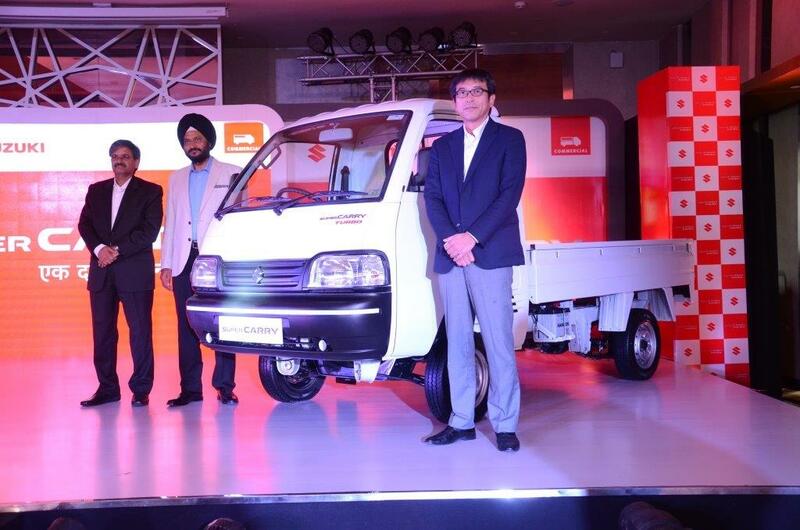 Super Carry was unveiled by Mr RS Kalsi, Executive Director (Marketing & Sales), Mr T Hashimoto, Executive Director (Marketing & Sales) and Mr CV Raman, Executive Director (Engineering), Maruti Suzuki India, at an exclusive ceremony held in the city. Equipped with a powerful 793 cc diesel engine Maruti Suzuki Super Carry delivers a mileage of 22.07 Km per litre. It comes with a superior loading capacity of 740 kgs and a loading deck of 3.25 Sq. meter. With Super Carry, Maruti Suzuki and SMC jointly bring the advantages of its R&D expertise and technology prowess to the LCV segment, the way it is offered in passenger vehicle segment. Maruti Suzuki has invested about Rs. 300 Crores towards the development of Super Carry for the Indian market. Maruti Suzuki has established a new commercial sales channel for the Super Carry. Super Carry is available in two widely preferred colours: Superior White and Silky Silver. Maruti Suzuki Super Carry is available at a price of Rs. 4,03,000/- (ex-showroom, Ahmedabad).